The governor serves as the state's highest elected official and chief executive officer. The winner will serve a four-year term, with an annual salary of $95,000. *Note: To compare different sets of candidates, hit the "change candidates" button immediately below the photos. This last legislative session saw the rise of the #Red4Ed movement? Do you think the 20x2020 plan passed by the legislature this year was adequate to meet the group’s goals of investing in public schools? What would be your goals regarding the state’s public education system in the coming four years? How would you measure if those goals are met? Voters on the November ballot will face a question of whether to support the expansion of a program that extends Empowerment Scholarship Accounts to students in most public schools. Please explain your position on this issue. What should be the role of the Governor’s Regulatory Review Council under your administration in the next four years? Did the state make any errors in judgement regarding the regulation of self-driving cars put on the street by Uber and other companies? Did the state make any errors in judgement regarding the regulation of the blood tests offered by Theranos? What should the ideal income tax rate structure be in Arizona? Assess the Arizona Commerce Authority’s effectiveness. Do you support the agency's current structure? If not, what would you change? What could Arizona do to improve its relationship with Mexico? What is the most effective thing the governor can do to boost economic development and job creation? What role should the state’s National Guard play in securing the state’s borders with Mexico? Specifically, what are your priorities for state spending? Are there any areas in which we should rein in state spending? What should the state's role be in implementing immigration and border security policies? Is the southwestern border secure? How do you define secure? What should Arizona be doing to prepare for a potential water-shortage declaration on the Colorado River? Are there specific conservation measures you would support, and are there measures you would never implement? We can always do more for our teachers, and we will. The 20x2020 budget represents the largest investment in Arizona public schools and our teachers in over a decade – and it accomplishes that without raising taxes and while maintaining a balanced budget – but we still have much more to do. The plan provides 20 percent teacher raises by 2020 – taking average teacher pay in Arizona from $48,300, to $58,100, roughly equal the national average. It also provides hundreds of thousands of dollars in flexible funding for expenditures such as new text books, building repairs, and support staff salary raises. Starting with Prop 123 and the resolution of a years-long lawsuit, adding new dollars to our public schools has been my top budget priority. I will continue increasing K-12 spending above and beyond inflation over the next four years -- and I’ll veto any budget that doesn’t do so. Over the last 4 years, Arizona schools have made substantial gains, both in terms of new resources and results. Since 2015, Arizona has added nearly $2.7 billion new dollars to K-12 public schools – increasing per pupil spending by 10%. We passed Prop 123 and extended Prop 301, both with bipartisan support. We launched Arizona’s Teachers Academy to enable future Arizona teachers to graduate from college debt-free. And the percentage of dollars making their way into the classroom is increasing. To go along with that, Arizona students are making gains faster than any students in the nation in math and reading, and 1/3 of America’s top 30 high schools are in Arizona. Our goal over the next 4 years will be to build on these gains–to continue increasing teacher pay and increasing the percentage of dollars going into the classroom–while ensuring our students are prepared to fill jobs of the future by expanding broadband to all students and boosting career and technical education programs. When parents have options, students win. This has been Arizona’s experience as students with disabilities, students living on Native American reservations, students from active military families, and students from failing schools have been able to access education programs better tailored to help them succeed. Our experience also shows we can continue to improve Arizona public schools—providing more resources and improving results—while supporting students’ access to the schools that are best for them. I will be voting “YES” on Prop 305. The Regulatory Review Council plays an important role in reviewing outdated and expiring regulations and eliminating unnecessary ones. The process is transparent and public participation is encouraged at all levels. Over the last three years, the Regulatory Review Council contributed to eliminating over 676 unnecessary regulations, saving taxpayers nearly $50 million. By continuing to focus on this role, we can continue to eliminate unnecessary red tape, achieve greater costs savings for taxpayers, improve the business and regulatory climate for small businesses, help Arizonans get jobs, and generally improve government services for Arizonans. By adding a small business person to the council, we’ve also aimed to provide greater impact from all voices in the economy. The introduction of self-driving cars holds great promise for Arizonans, with potentially dramatic increases in public safety and more choices for consumers. Arizona is now recognized as a national leader in this area, and that has resulted in considerable investment in our state. Over 800 people die in fatal car crashes in Arizona each year – if we can significantly reduce that number it will be greatly to our benefit. Companies are held to high standards. When there was an unfortunate accident with Uber, we took action and halted their ability to test until a complete review is done. That’s the strongest action taken by any state to date, and it sent a clear message to the industry. We will continue to make public safety our top priority while welcoming innovation and new ideas. A state’s role is to create an environment that allows innovation to thrive while protecting public health and safety. Arizona’s record shows that should any company harm public health or safety, they will be held accountable to the fullest extent of the law. Experience over the last several decades proves that tax rates matter: High tax rates stifle growth and cause individuals and businesses to flee to lower-tax states. We want to be a lower-tax state, not a high-tax one. This would keep us competitive with states like Nevada and Texas, that have no income tax, and allow Arizonans to keep more of their hard-earned dollars. Since I took office, we’ve been able to reduce and simplify taxes every year. This includes requiring Arizona’s tax collection agency to adjust personal income tax brackets to account for inflation, relieving taxpayers from paying more just because the cost of living goes up. Right now, Arizona has the 3rd fastest personal income growth in the nation. I want to take us to number one, and we can do that by continuing to focus on simplifying and reducing taxes and allowing Arizonans to keep more of their hard-earned dollars. When I took office, Arizona was still struggling to recover from the recession and families were hurting. Today, Arizona is growing and getting stronger. Working with the Arizona Commerce Authority (ACA), whose mission is to recruit new companies to Arizona and help current ones expand, we’ve been able to work with the private sector to add more jobs, bring more companies here, and build upon Arizona’s reputation as a host of mega events.But it’s important to remember - government doesn’t create jobs. But we do create the right environment to encourage job growth. Since 2015, Arizona has added over 160,000 new jobs and 300 companies have partnered with the ACA to expand or relocate in our state.Unemployment is at its lowest rate in a decade. In recent years, Arizona has successfully hosted events that put us on the map globally, including the Super Bowl, the NCAA Nat. Championship, and Final Four. We just landed another Super Bowl in 2023. We need to continue to build on these gains. Over the last 3 years, Arizona has built a strong partnership with our neighbors to the south – resulting in a safer, more secure border with Mexico as well as more jobs and investment in Arizona. One of my first actions was to lead a delegation of business and policy leaders to Mexico City – the first time an Arizona governor visited Mexico City in over a decade. From there, we’ve built a robust partnership and friendship with Sonoran Governor Claudia Pavlovich, leading to multiple bilateral agreements to enhance trade, tourism, and cooperation. These include working together to boost trade infrastructure, promoting collaboration between our public universities, creating a safety corridor to Rocky Point, and launching SkyBridge Arizona, the first inland cargo inspections facility in the nation to house both Mexican and U.S. customs. Today trade between us amounts to nearly $16 billion and supports roughly 100,000 Arizona jobs, and Arizona-Mexico relations are much improved. Jobs are not created by politicians. They are created by hard-working entrepreneurs putting in the hours and taking risks to expand their businesses. This is something I saw first-hand as a CEO at Cold Stone Creamery and it’s what influences our approach today. The most effective thing government can do is build the framework and create the environment where business – especially small businesses – can thrive. That means a low-tax, less-regulatory approach. It also means investing in education, which we’ve done. $2.7 billion in new spending on education will help ensure we have the workforce our employers need for tomorrow’s jobs. Since 2015, Arizona has added over 160,000 new jobs and 300 companies have partnered with the ACA to expand or relocate in our state. Unemployment is at its lowest rate in a decade. But we have more work to do to secure Arizona’s future. The most fundamental responsibility of government is to protect its citizens. This is an issue for all governors, but especially border state governors. For years, Arizonans have been calling on the federal government to secure the border – and have too often been met with silence. That’s why I was grateful for President Trump’s decision to call up the National Guard to support the mission of Border Patrol. The dedicated men and women of Arizona’s National Guard have provided mission-enhancing capabilities to Border Patrol, surging more badges and boots to the border. This mission is making our country and communities safer at time when border crossings have risen by more than 200% year over year. As Arizona has grown, adding new dollars to K-12 education has been my top budget priority. We’ve added $2.7 billion to K-12 schools, increasing per-pupil spending 10% and providing 20% teacher raises by 2020. But we can do more. I will continue increasing K-12 spending above and beyond inflation -- and I’ll veto any budget that doesn’t do so. We’ve also cut waste, consolidated agencies, and eliminated needless regulations (676 and counting), saving taxpayers nearly $50 million, but have more to do. When I took office, we said that if Washington wasn’t going to step up to secure the border, we would. In 2015, we launched Arizona’s Border Strike Force – a partnership with local, state and federal law enforcement to enhance security along Arizona’s southern border, aimed at drug cartels and human traffickers. Working directly with our border sheriffs, federal agencies and now the Arizona National Guard, we have made 3,199 arrests and seized over $10 million in cash and tens of thousands of pounds of meth, marijuana, and heroin. Our job is also to speak loudly when terrible ideas – such as abolishing Immigration and Customs Enforcement (ICE) – are proposed at the national level by politicians who have no idea what impact that would have on a border state such as Arizona. Arizona has the most far-sighted set of water-management laws, policies, and practices in the country and they have positioned the state to thrive, for our economy to grow, and for our citizens to prosper. Arizona and the western United States are well into epochal drought conditions that require immediate attention. For the sake of our immediate prospects, for future generations and for the economic well-being of the state as a whole, now is the time for us to act to deal with the issues of declining water supplies on the Colorado River. We must adopt the Drought Contingency Plan (DCP) while also addressing the excess water pool, tribal ICS, an Arizona conservation plan and mitigation for CAP agriculture. These are tools that are necessary to make the DCP happen. I’m a husband, father, teacher, and veteran, not a politician. I’m a working-class kid from Mesa who enlisted in the U.S. Army at 17. I’m a 4th generation Arizonan running for governor to end the crisis in our schools, stamp out corruption, and make the economy work for all of Arizona. We’ll invest in education to create good jobs and to make the wealthiest and corporations pay their fair share. I have spent my career dedicated to improving Arizona public schools so that every child has a shot at a quality education. As a professor and Associate State Superintendent, I earned a reputation as an education leader who found common ground, created smart solutions, and built consensus. I’m not afraid to take on Doug Ducey, standing with the Red for Ed movement every step of the way, and winning the endorsement of the Arizona Education Association. No. Doug Ducey and this legislature have presided over the systematic dismantling of public education. They started this session planning for 1-2% raises for teachers despite being last in teacher pay and having the worst teacher shortage crisis in our history. Ducey’s 20x2020 plan came only after nearly 100,000 educators protested across the state demanding real solutions and he realized his re-election was at risk. The bottom line is Ducey cannot be trusted on education issues and we should expect the future promises in 20x2020 to be empty ones. Instead, I stand with the teachers and their plan. It’s time that educators set education policy. I fully supported their Invest In Ed ballot measure. Educators know what’s best for our kids and public schools and I am proud to have stood with our teachers, school staff and community from the beginning and doing our part to help get the measure on the ballot so our schools will have a sustainable funding source into the future. I’ve spent my life studying, supporting and fighting for Arizona public schools. I attended Arizona public schools, have served them as an education policy analyst, as the Associate Superintendent, and as a professor training educators across the state. First, we must treat teachers as professionals - paying them a wage that allows them to support their families and allowing them the freedom to teach again. We must abandon our unhealthy fixation with standardized testing. Second, we must evaluate teaching using real-world outcomes that demonstrate readiness for life. Finally, we must end the privatization schemes that line the pockets of the few at the expense of our students. We’re successful when teachers are returning to the classroom, teacher pay is competitive and school funding is above pre-recession levels, when we reward schools for more than simply getting students through a multiple choice test and when the waste and abuse in school privatization schemes is put to an end. As I said in my announcement to run for governor, the recent expansion of Empowerment Scholarship Accounts (“ESAs”) is the most devastating blow to public education in state history. My decision to run for governor in 2018 was largely motivated by Ducey’s decision to sign this enormous and dangerous voucher expansion. I oppose voucher schemes that take money from public schools. As a state, our obligation should be toward fully funding public schools and helping Arizona’s public schools reach their full potential. The Governor’s Regulatory Review Council has become a partisan body that consists of too many political hacks and lobbyists appointed by the governor. 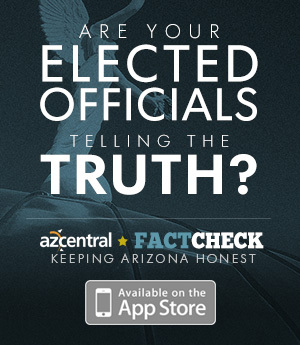 It has been utilized by Doug Ducey to wage war with state agencies and promote his political agenda. An example is the current ballot measure that seeks to strip the Clean Election Commission’s rule making authority and give it to GRRC. This is nonsense. As governor, I will appoint objective, nonpartisan individuals and end the usage of GRRC as a political weapon. Yes, when corporate profits come before basic priorities like public safety, we know there is a problem. Many corporations go “state shopping” looking for an attractive regulatory environment and all too often land in Arizona as neighboring states would never allow these risky endeavors. We saw this with the self-driving Uber car that killed a Tempe woman but also with Theranos which tested their faulty blood tests in Arizona Walgreen’s and with Ashford University who took advantage of military veterans who were working to get an education but instead were left with no degree and thousands in debt. Time and again, Ducey sides with corporations over the well-being of working Arizonans and we need to have a Governor who will fight for us, not the corporations who finance politicians’ campaigns. Yes. Ducey rolled out the red carpet for Theranos to get a photo op and headlines and in so doing, put Arizonans at risk. We were effectively ‘lab rats’ for an untested and now proven to be deceptive medical device. Again, when corporate profits are the only priority, the people of Arizona will be the ones to pay the price. We need a governor who will invest in the people of Arizona and not sell us out to the next corporation promising a political win, positive press headlines and campaign contributions. I believe in balanced budgets, living within your means and working to eliminate waste and abuse in government. The problem with Arizona budgets is that after nearly three decades of tax cuts - tax cuts that are nearly impossible to reverse due to Prop.108 - state government does not have the revenues necessary to meet the basic needs of Arizona families. After decades of asking schools, cities, hospitals and transportation infrastructure to do more with less, in practice, they are simply doing less with less. We have to move towards a balanced approach that requires corporations and the wealthiest to begin paying their fair share and end our addiction to perennial tax cuts that benefit those at the top and decimate school funding, health care access and infrastructure. Arizona has the 8th most regressive tax structure in America. The bottom 20% pay 3 times as much as the top 1% in state and local taxes as a share or their income; the middle 20% pay 2 times as much. We can do better. The Arizona Commerce Authority is an effective economic development entity that works well with other business recruitment organizations. Economic development needs to be a team approach, utilizing professionals from cities, counties, the state, and the business sector. I look forward to participating in such an integrated approach to expanding the state’s economy including supporting small and rural businesses. As a bilingual Latino I can be the most effective pitchman for Arizona businesses and trade we’ve ever had in Mexico and throughout Latin America since Governor Raul Castro. Not only will I end the negative stereotypes about Arizona that hurt relations and trade, but I will actively cultivate increased tourism, trade, and investment in Arizona businesses. When we begin to see our international border as an asset and not a liability, is when we will see real lasting economic growth in Arizona. This is especially true for rural Arizona and border towns who are desperate for the consumers and investment blocked from spending in Arizona because of backwards politicians like Ducey. As governor I’ll work to end Arizona's negative perception and reputation to the south and demonstrate to the world that Trump and Ducey don’t represent Arizona values. I’ll get to work for us encouraging international commerce and trade in Arizona bringing good jobs and investment home. I am tired of watching Arizona marketed as the cheapest place to do business, as opposed to being sold as an amazing and rich state with a bright, trained and capable workforce. We need to market Arizona as a place with public schools and a quality of life that can attract and support the families of relocating workers. My focus will be on supporting businesses that start, build, and stay in Arizona as opposed to offering out-of-state corporations superficial tax incentives that cripple our infrastructure, decimate state budgets and threaten our future. We need to make strategic investments in our people and communities that build and attract the jobs of the future. As Governor, I want the rest of the world to know Arizona as the place where good ideas and products can – and do - grow into global successes. The National Guard should not play a role in securing our border with Mexico. We have kids in cages in warehouses, separated from their parents and representing themselves in courtrooms; this is absurd, cruel and our Governor should be doing everything in his power to ensure we are not contributing any state resources to this cruelty. Public education makes up almost half of the state’s budget and will be my first priority. We need to move to dedicated sources of revenue for public education and return funding to pre-recession levels as a start. To do this, I will close corporate tax loopholes & giveaways. I also support the Invest In Ed Ballot Initiative as my own education plan requires that the top 1% begin to pay their fair share so that Arizona has the resources necessary to serve our schools and kids. We must ask corporations and the wealthiest to begin paying their fair share so that the basic needs of Arizona - education, healthcare and infrastructure - can be served. During the recession, we cut state spending everywhere except for corrections spending. When I am governor, we will cut corrections spending every year and put those savings into education and educational programs. When I am governor, we’ll maintain secure borders and orderly immigration without separating families. We don’t have to choose between Trump and Ducey’s cruelty and open borders. That is a false choice. We’ve demonstrated before that we can be a nation of immigrants and a nation of laws. We’ll build an Arizona that shows the world how immigration and international borders aren’t something to fear but to embrace. As a 4th generation Arizonan who served my country in the U.S Army, whose father served and flew the flag out in front of our home in Mesa, I know immigrants are no threat. We need to rebuild our immigration system top-to-bottom in a way that reflects our American values. Arizona should be an example of how to build a robust, healthy relationship with Mexico and our neighbors that grows the economy, maintains security, allows for immigration that reflects the economic and social realities of today, and cares for the most vulnerable that show up at our doorstep. We must be proactive in securing our water supplies for the future, while also addressing pressing problems caused by climate change and drought. As Governor, I’ll work with stakeholders across the state to ensure that Arizona has the water resources necessary to sustain our communities and our environment, while building a strong economy for generations to come. Community leaders know that water is a basin-wide, statewide and local issue. Arizona needs a Governor who recognizes that the state should lead in the Colorado River Basin to ensure our supply of water and also works with leaders who know the needs of their local water supplies that are so critical to developing a sustainable plan for our water future. The challenges facing the state are real, but solutions can only be found through an open stakeholder process that values the leadership of local communities, Tribal governments, environmental advocates and industries, while acknowledging that water is a statewide concern.